Feeling lonely on Valentine’s Day, Maya tries her luck at a matchmaking agency – only to discover that her groom is an alien from another galaxy! The contract she signed requires her to spend at least a year with him – as if! Once she arrives on the planet of Xelris, she immediately plans to make a run for it. There is just one problem: her own traitorous heart. With rebellions erupting all over the planet, Prince Kreoz has only one goal: to stop them. He has no time to spare for other things, least of all for females. So when his brother orders him a mail-order bride, Kreoz is furious. But as the beautiful Maya walks out of the spaceship, his heart can’t help skipping a beat. Could she be his sha-im – his one and only other half? 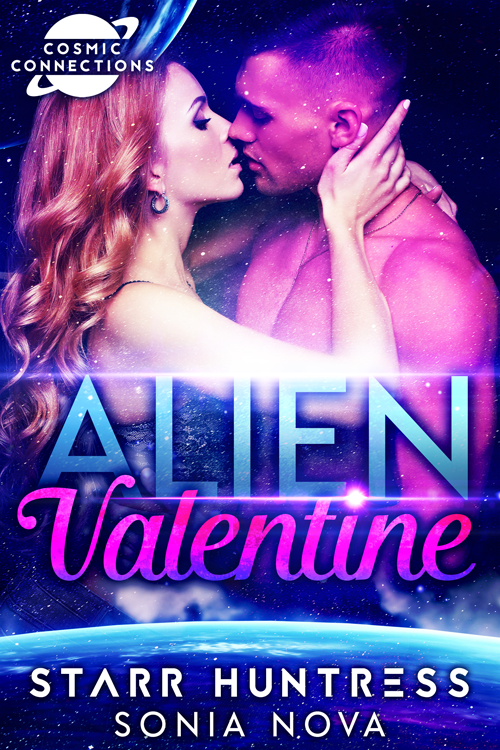 Alien Valentine is a standalone sci-fi romance novella set in the Cosmic Connections universe. Complete with a HEA and no cliffhangers, the story is intended for mature audiences only.